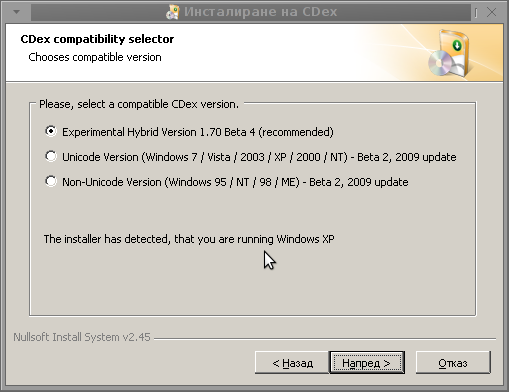 Recently, I had to fix few Windows XP computers – Windows XP and Windows 7. The person for which I have to fix them a Dutch guy wanted to install him some kind of software capable of ripping his large collection of old CDs so he can later store a copies of the audio CDs in MP3 Format on his 2GB external hard drive. There is plenty of software out there that can RIP Audio CDs and CD Ripping has a long history line so it is rather easily for one to find a number of non-free software programs capable of doing Audio Music CD to Mp3 Ripping. However as a great Free Software Enthusiast and Supporter, I didn't wanted to install him a piece of non-free cracked software. Therefore I did a quick research to find out if there is an Open Source / Free Software program capable of "downloading" the AudioCDs to Mp3. 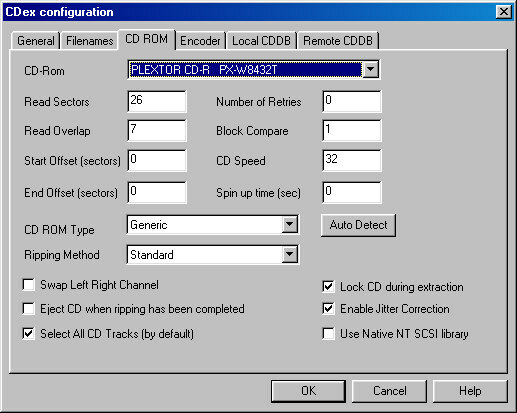 I've ended up on CDEx – Open Source Digital Audio CD Extractor website. Besides being Open Source it is even free software licensed under GPLv3! Install is pretty straight forward, here I've noticed the program installed some Windows .DLLs (ASPI – Advanced SCSI Programming Interface), it seems developers used this to be as a program backend. Here I should say I had some problems on 64 bit Windows 7 install with the program, though officially on the website it is stated the program installs and works fine with m$ Windows 7. The program is comparatively quick in RIP-ing songs, one song is being ripped and converted saved in mp3 for about 30 secs or less, meaning a normal music CD of 10 – 12 songs is burned just for 5 minutes or so, though this might vary depending on CD-Rom Speed, CPU and HDD (you know many laptops are running HDDs with 5200 RPMs p/s). As well as suport for recording of Audio streams from Analog Input devices (I guess this is old tapes and stuff). Interesting soft feature is it support for CDDB (Compat Disk Database) – allowing it to get information about Audio CD performer from the Internet – It uses freedb.org's music info database. By the way using freedb is very simple, all you need is to configure email address with it. I haven't tested it thoroughfully, but it seemed to work fine, my only remark was sometimes it makes problems if you configure as a Store Device external hard disk in program Options and later remove external Hard Disk (forget) and try extracting an Audio CD and converting to MP3, trying this will do nothing and it will stop and start without even saying a word to give you an idea that something is wrong with the Storage location, but still probably in future versions developers will solve that out. Another great news is CDEx works even on Linux, though not all options works fine and it crashes sometimes, simple Audio CD Ripping worked pretty well on my Debian Squeeze Stable via WINE (Windows Emulator). 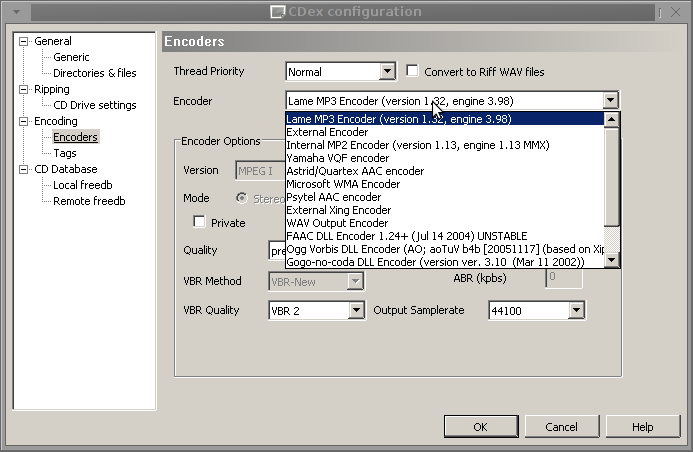 The extracted sound quality is great as well and the program deals fine with CD Audio normalization, sound sync and stuff. As most older Audio Music CDs, does not have embedded Track information, the only option to get a good name (Instead of the standard Track1, Track2 … etc.) is to manually rename each of song names or hopefully fetch the info via FreeDB's database . 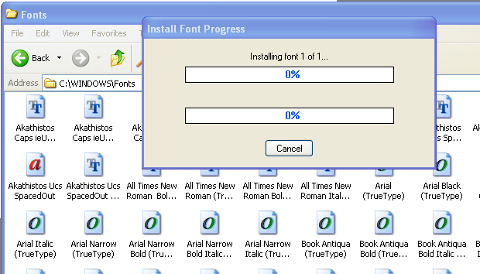 If you have to do it on a PC with 3 Windows existing directories on C drive for instance (Windows, Windows, Windows3) it is good idea to first find out which is the exact directory from whom present working reads fonts. I’ve tried hard to look for a free software good PDF to DOC converter alternative for Windows but it seems as of time of writing this post there is no GPLed free software that does properly convert PDFs to MS WORD DOC …. 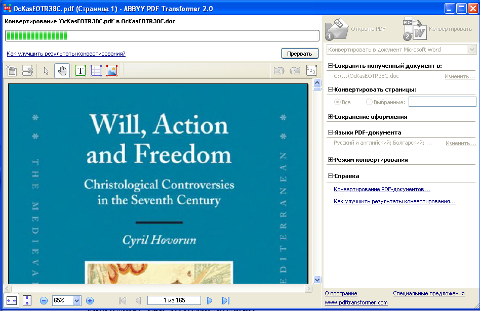 Using Abbyy PDF Transformer 2.0 is a piece of cake all I had to do is select the PDF file (pressing Open PDF) and then click on Convert (in right bottom corner). Below is a shot of Abby PDF transformer in action. It’s so annoying. Everytime you need to configure your internet at HAN (Arnhem Business School) you have to go to the Computer Center and look for the university IT support to just install you a simple program. For one or another reason this guys has decided to use a strange encryption protocol which is an add on over the normal Wireless Connection. Since I believe many students at HAN / Arnhem Business School (ABS) had to reinstall their Windows or has to do some routine thing like reinstalling completely the Wireless Network drivers on their PCs. Then you certainly need the SecureW2 program and then again you have to go to this Computer Center instead of being able to simply do it on your own. Above I share all the versions of the program I have for both Windows XP / Vista and 7. So after downloading the SecureW2 and going to HAN at school then you can configure the program on your own. Recently I was in the Pomorieâ€™s Monastery â€“ St. George . One layman left his notebook (maybe as a donation) to the monks. However the notebook was protected by both: fingerprint check, as well as administrator password and therefore the notebook was completely unusable and was thrown away with many other unused belongings. When the abbot of the monastery found out Iâ€™m adept with computers, he asked if I can fix up the notebook and somehow remove the password, or reinstall the machine to make it usable. So here I decided to blog what I undertook to reset the windows password with the hope somebody else could benefit from that as well. 2. Download the bootable CD image zip archive of Offline NT Password & Registry Editor and burn the iso to a CD using K3b (on Linux), Nero or CDBurnerXP on (Windows). 3. Follow the step by step walkthrough manual (here) to either change Some Windows user password or completely reset administrator or any other user password. Following the walkthrough literally prooved to be quite succesful for me and I was able to properly reset the administrator password! So Hooray it works again! The monks can now benefit of the cute Toshiba satellite machine. A friend of mine, brought his computer home because his machine needed a repair. After installing Spybot S&D and checking the machine for SpyWare. 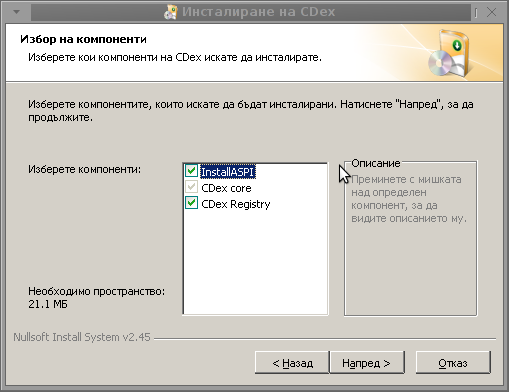 I decided to run once again the program just to assure myself that the infections has been properly removed. was found though I have to admit a really tough one! I followed instructions from fixvirtumondedll.com to remove the cursed spyware. I decided to use SuperAntiSpyware, because it’s a freeware. happily It found and removed a dozen of malicious spyware. cause I wanted to be certain that all the Spyware on the system is removed.